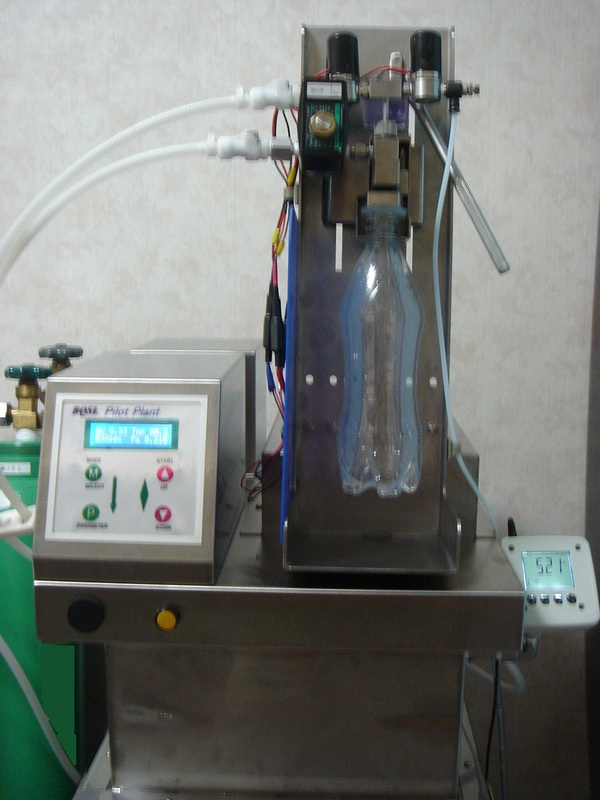 BQSL High performance Pilot Plant is consisted with Micro Bubble Carbonator, which provides most consistent carbonation from low gas volume to high gas volume over 5.0, and Standing Filler, which minimizes foaming. You can fill the product at a target gas volume exactly in a short time. 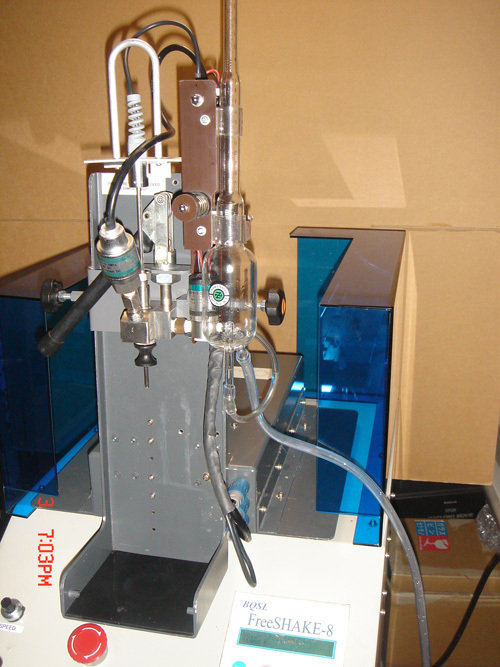 It is useful to make samples for shelf life evaluation or to developing new product. BQSL Hot Wire Cutter is a special cutter developed for measuring section weight of PET. You will realize what is ' Make your process simple! 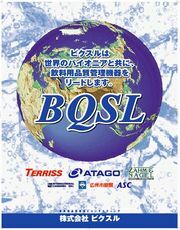 High quality is expected at Lower cost! with this cutter. BQSL Hot Wire Cutter uses extremely thin razor type hot wire, which enables sharp and accurate cut. There is almost no loss of PET weight by hot cutting. 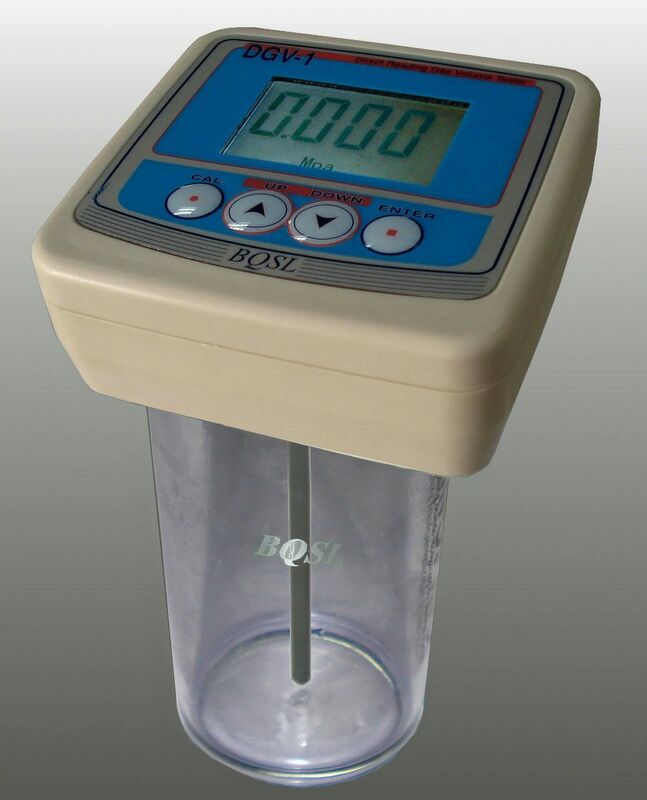 BQSL Vacuum Pressure Tester is a battery type digital pressure tester equipped with semiconductor strain gage, which was developed to measure vacuum or inner pressure of hot pack beverages/foods. DGV-1 is a direct reading digital gas volume tester. You do not need to use conversion table.Equipped with Zahm&Nagel D-T Piercing Device, it measures gas volume accurately and efficiently. 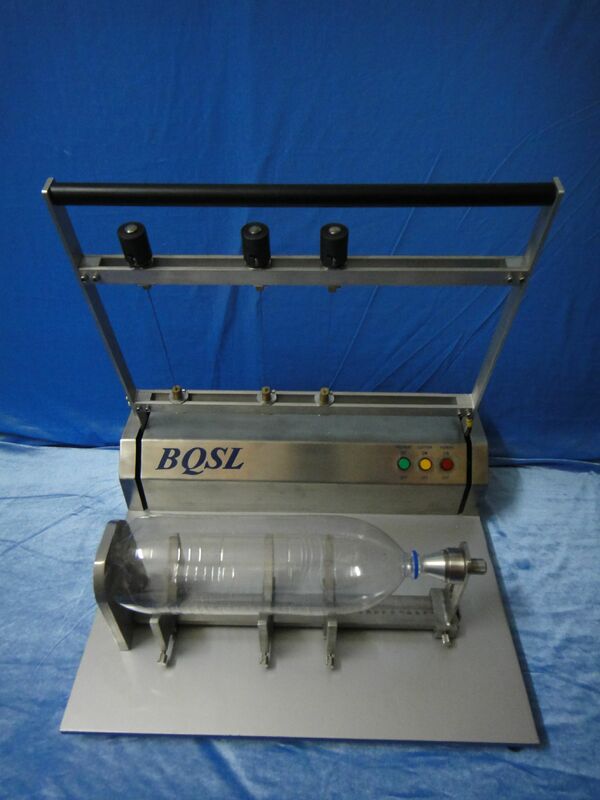 BQSL Model DGV-1 Piercing Device for PET bottle is simple piercing device for PET bottles equipped with DGV-1. The weight of Device is 0.8Kg. A half weight of Z&N14001, 1 liter size or 1/4 of Z&N14002, 3 liter size. Please try this light weight by yourself. DGV-1 Piercing Device Universal is a compact and light weight piercing device equipped with DGV-1. 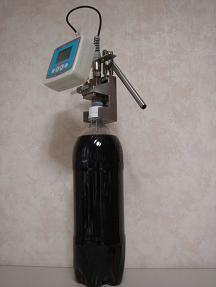 You can measure gas volume in various packages such as cans, glass bottles, PET, and so on. With cam lock lever, piercing depth is always the same and the package will have no damage. Measuring fill height is an eazy test, but it sometimes influenced by reading gap between persons. Using Digital Fill Height Gauge will remove this gap. 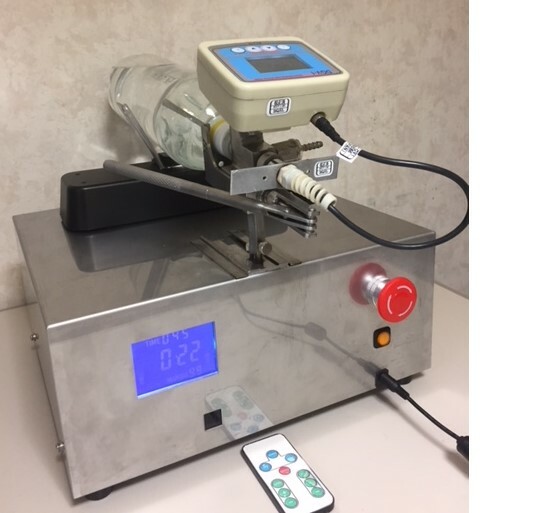 FreeSHAKE-V is a mechanical shaker that is designed to automatically measure CO2 gas volume equipped with DGV-1, direct reading gas volume tester. It is a compact size as 34(W) x 30(D) x 30(H), but has a strong shaking power with horizontal V-shape shaking. In spite of its stronger power to larger container in proportion, the physical impact is minimized for DGV-1, which is located at the center of Shake. You can expect 100% compatible result with hand-shaking. Just set sample and press START button. FreeSHAKE-V shakes a sample in the set speed for the set time, and stops after count down comes to 000. Click here for Operation Movie.